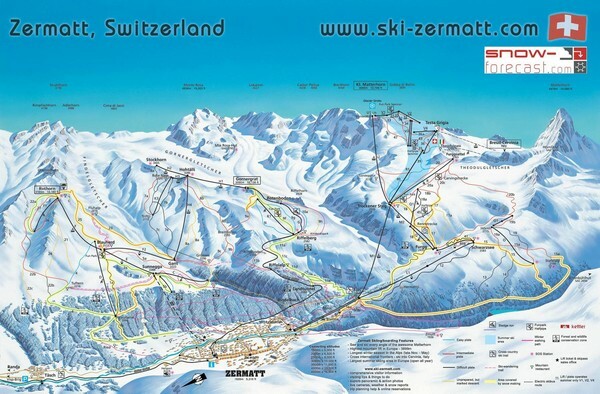 Trail map from Matterhorn ski paradise. 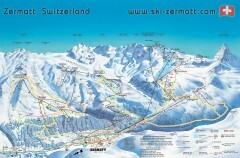 Combined piste map of Zermatt and Cervinia resorts. Shows both sides of the huge ski destination.